This wonderful disc necklace was made in France. 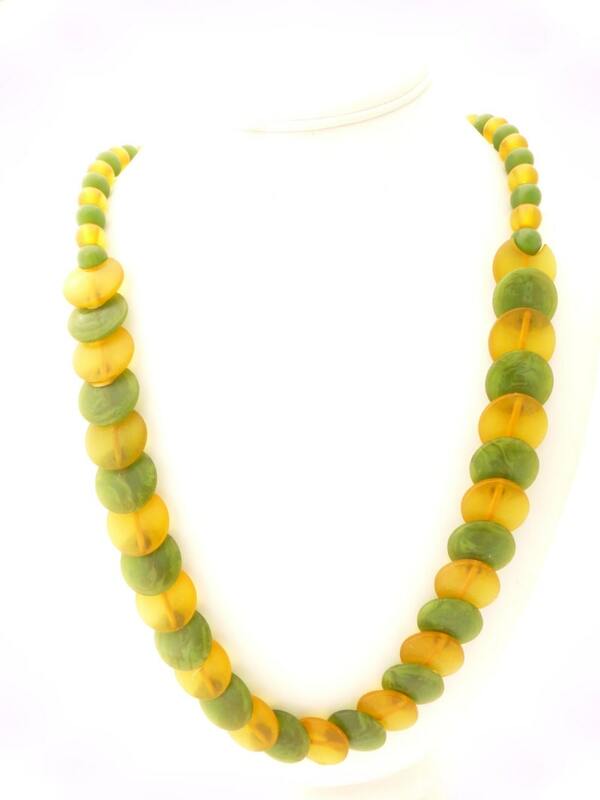 It features spinach green and apple juice bakelite beads and discs. The discs measure 19mm and overlap each other. The round beads are 9.25mm each and the clasp is a green bakelite barrel clasp. The necklace measures 26.5" long and is in very good condition. This necklace has passed the smell test and simichrome test to be genuine bakelite. It would make a unique addition to your bakelite jewelry collection.